My brother Trent has been the lead singer and songwriter for5am, an award winning band in the San Francisco area, for over fifteen years. This month he has released his first solo album entitled, “Birdwings.” This music is inspired by Trent’s experience at the Summer Contemplative Retreats run by my friends Frank Rogers, Doug Frank, and Nancy Linton, in southern Oregon. The album is in many ways a journal of Trent’s spiritual struggle to hold suffering, receive joy, and live life in the present moment. Trent debuted the new songs at the Wild Goose Festival and will be volunteering as the retreat musician later this month at the Summer Contemplative Retreat. 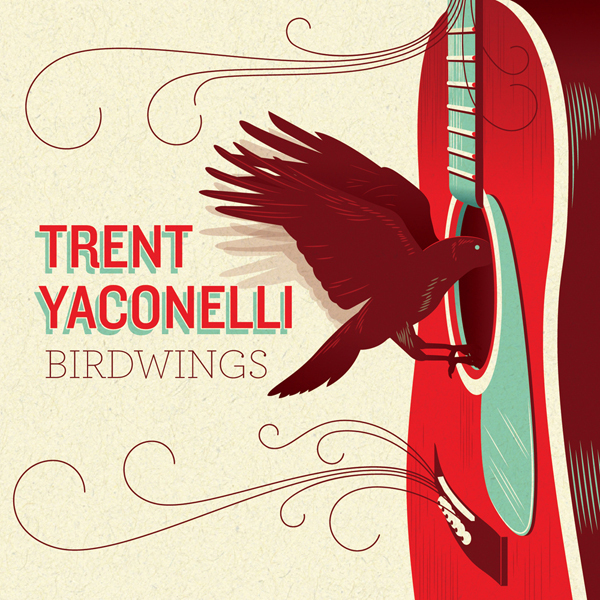 To hear more about the album as well as music samples you can go to Trent’s website here. You can download the album on Itunes here or get a physical copy of the cd (with a beautiful cover by the same artist who designs Josh Ritter’s cd’s) at CD baby. As one member of the audience at Wild Goose said after hearing the album, “This music makes my heart ache with love.” Check it out. I spent a few days at St. Benedict’s Monastery in Snowmass, Colorado with Thomas Keating (one of the founders of the Centering Prayer movement) and a small gathering of contemplatives, academics, and neuroscientists. Hosted by the Center for Engaged Compassion at Claremont School of Theology, the purpose of the event was to begin a conversation between Christian contemplatives and neuroscientists in hopes of designing future research projects. For the past twenty years there has been growing research and interest in what is sometimes referred to as “Contemplative Science” promoted by organizations like The Mind and Life Institute and Stanford University’s Center for Compassion and Altruism. Contemplative science has focused, almost exclusively on Buddhist forms of contemplative practice, ignoring the wealth of practices that exist in Western religious traditions. Dr. Michael Spezio and my friend Dr. Andrew Dreitcer (both former Presbyterian ministers) facilitated the event in the hopes of deepening the scientific understanding of the contribution Christian contemplative practice can make in the cultivation of compassionate action. In my experience, contemplation (and Christianity in general) isn’t about belief–a set of statements that we hold in our head, as much as it is a way of being in the world. Christianity is a spiritual path, a way of becoming increasingly transparent to love, a way of becoming more alive, more free, in greater friendship and solidarity with others. Contemplative practice (or prayer), supports this path by helping us consent to the compassionate activity of God. Contemplative prayer helps us to see ourselves and the world as it really is. It helps us to let go of our attachments, our filters, so that the Mystery that we call “God” can move and breathe within us. In my experience, as we consent to God’s activity we find natural, creative ways of living lives that are compassionate, joyful, and courageous (see Jesus). How will scientists measure this? I don’t know, although I was encouraged by the interest of the researches I met. There is a deep awareness within the scientific community that the world is in serious crisis (environmentally, politically, economically) and that the only hope of resolving these problems is by cultivating compassionate awareness and action within the human family. Certainly Christianity is a source of wisdom for this endeavor, and yet part of the work of bringing together scientists and Christian contemplatives is first renouncing the God who doesn’t exist. The manufactured God that has been used to frighten, control, and manipulate people. The God who has scared, wounded, even tortured so many.